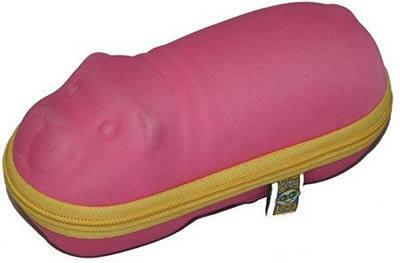 Banz sunglasses case are a fun and practical accessory to the Banz eyewear range. 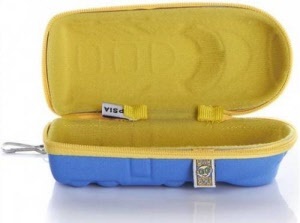 Dimensions are 15 x 7 x 6 cms, with a yellow reinforced zipper and a clip for quick and easy attachment to bags or luggage. Made from a durable, stiff cardboard shell and covered in smooth Nylon fabric. The cases are a great size and easily hold up to 3 pairs of sunglasses (or a pair, some sunscreen and a matchbox car!). Very handy, durable and even make a fine toy when you need some distractions while travelling. The protective case enables your kids sunglasses to be thrown in a suitcase, with no concerns about damage in transit.